We arrived at night so could not see the extent of the stunning views til morning. 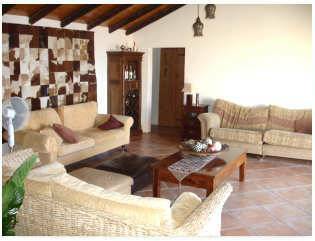 The villa was very clean and spacious with good quality furniture and tasteful interior decor. There were only four of us staying so the villa felt very spacious indeed. I suppose the property would ideally suit two families of 4-5 people. 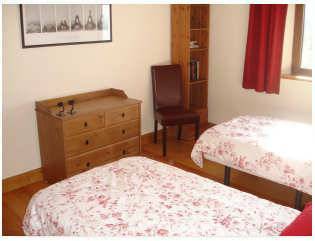 There were 2 doubles (one with kingsize bed) and two twin rooms ideal for kids. There was also a fold-up bed in one of the rooms. 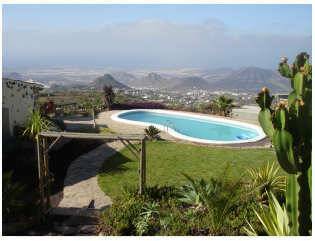 Unfortunately when we visited Tenerife it was having its coldest February for 40 years and therefore the pool was not warm enough to swim in which was really disappointing. Luckily for us though the villa had heating which we needed in the evenings. The kitchen was very nice and had everything we needed although we had problems with the washing machine as 2 of the buttons seemed stuck. Also one of the CD players didnt work and the other one was a bit jumpy but ok as long as you didnt make any movement near it! 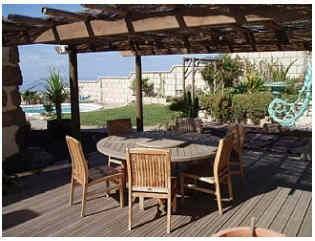 The outside space was very nice and would definitely suit a larger party with lots of sun loungers and seating areas and a table and chairs ideally placed on the terrace to enjoy the lovely views. 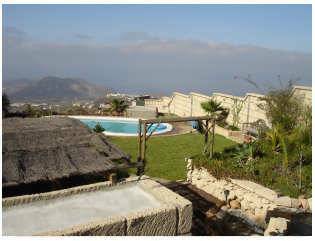 The villa was in a very quiet location set above the village of Arona with views over Los Christianos. The road up to the villa was quite steep and windy and we would have been lost without our sheet of directions. However it was easy to get to places for days out - we visited Los Christianos, the Monkey Park, the Jungle Park (very close), El Medano (a beach which was often in sunshine when our area of the island was in shade), and we drove uphill from the villa to reach El Teide where we took the cable car to the top of the mountain. All in all we very much enjoyed our stay at this lovely villa. Stunning is the word. We spent a fantastic week in this beautifully appointed villa. The views towards the coast are wonderful and we enjoyed seeing both sunrise and sunset each and every day. The setting is as private and secluded as you can expect (great for us as we tend to be rather antisocial holidaymakers, happy to not talk to any other tourists for our entire stay). I would agree with another reviewer that this is a place where you really do need to have your own transport, but thats part of its appeal: being away from it all. There was some confusion over our arrival time and the place we were supposed to meet Pauline the housekeeper, but she and her husband Phil were very helpful, and this minor glitsch was soon forgotten. Otherwise our only two criticisms would be that the pool is not adequately heated for visitors like us who are trying to grab some winter sun (although, in fairness, the description doesnt actually state that it is heated ... I just feel that the addition of heating would truly make this is a ten-out-of-ten all-year-round destination) and that the built-in barbecue has been replaced by a free-standing one for which the lighting is ineffective (in fact the lighting for the covered eating area doesnt appear to work at all which makes evening meals out a bit tricky!). 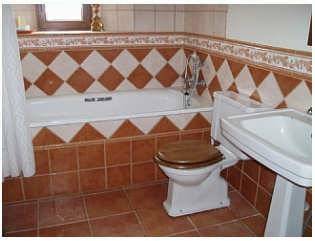 But all in all, these are minor problems in a property that I am happy to recommend extremely highly. 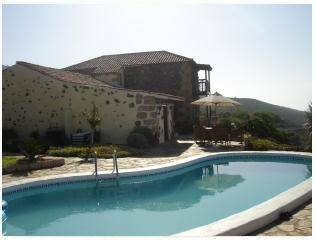 Thank you very much for your lovely review and have described the villa as "stunning". We think so! The pool is solar heated which does heat up the pool more than adequately. I know you were a little unfortunately with the cloudly weather and that obviously does affect the temperature of any pool.Apologies about the lighting. I wasn't aware but will get that addressed.Glad you are happy to recommend the villa to others and that you enjoyed the villa so much. 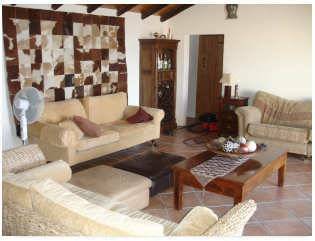 Great villa if looking for rustic location which is not overlooked by other properties in what must be real Tenerife. Fantastic view of Los Christianos / Los Americas coastline. Heated pool was excellent, but I would have expected it to be cleaned after first week of two week holiday. Attention needed to lighting on entrance pathway, but these are minor niggles which did not really detract from our enjoyment. We loved the lizards, which are almost tame. 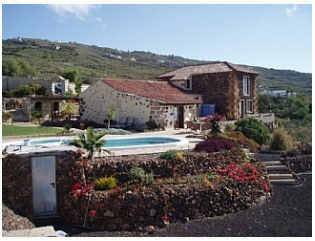 Really enjoyed our two week holiday and would recommend the Farmhouse Villa to any party of adults looking for a villa with a difference. Thank you for the lovely feedback. We have replaced the bulbs on the lights to the entrance. (Sorry we did not realise they had blown). We don't provide a full clean again during your stay unless you request (and pay) for it. Instead, as we did for you, we simply change the linen and towels.Glad you enjoyed it and hope to see you again soon. 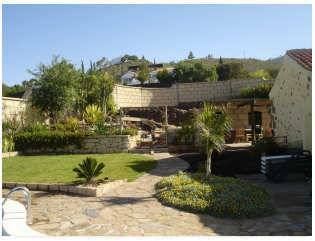 This property is located in a very quiet area overlooking Arona. The views are breathtaking, especially at night. 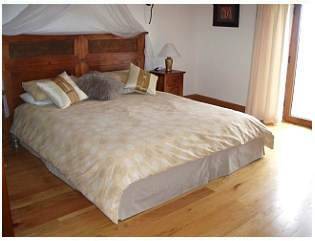 The housekeeper met us and took us to the property and was extremely friendly and helpful. 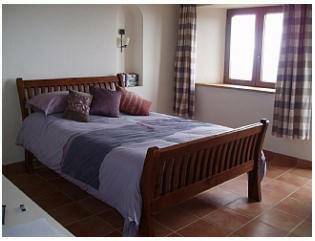 The owners had renovated the property incredibly tastefully and to a very high standard. 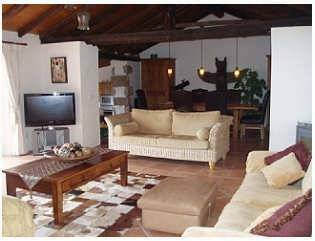 We were made to feel very welcome by the use of books, dvds games etc.... We found everything spotlessly clean and tidy and would and already have recommended the property to family and friends. We never usually return to the same place twice, preferring to try new places, however, we will definitely be booking to go back. 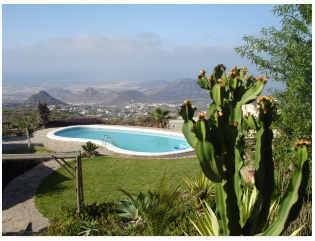 Due to the location of the villa, you would really need to hire a car, rather than rely on a taxi.